Last year I refinanced the mortgage on my home. When I initially bought my home as a first-time home buyer in 2004, my eyes grew tired and heavy from all the pages and pages of signatures. I literally had to shake my hand to push away the carpel tunnel. Additionally, my husband and I needed to drive to the title company in person to sign the documents. The title company was about to close for the weekend, and we had to hurry through traffic, as well as take time off work. I remember it being a stressful situation. This time, however, I didn’t sign one paper document, nor did I need to physically drive to the title company. Instead, my mortgage broker had me sign my name in all the correct places using his iPad, which he brought with him to my house at my convenience, which for us was about 8 p.m. It was glorious! Physical papers and printing had their place, but in today’s financing world, it’s all about e-signatures. In 2000, the government signed the Electronic Signatures and National Commerce Act (ESIGN) to allow the use of electronic signatures (e-signatures). However, it is up to individual companies, and individual borrowers, whether e-signatures should be implemented. Banks and other financial institutions were wary of relying on e-signatures at first until it was proven in court and by regulators. Today, however, almost all lending institutions have implemented e-signatures. 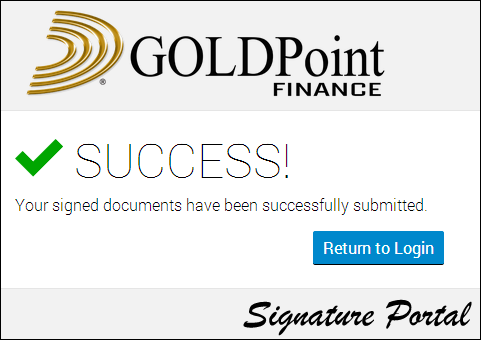 GOLDPoint Systems offers e-signatures through our Signature Portal and eGOLDSign. 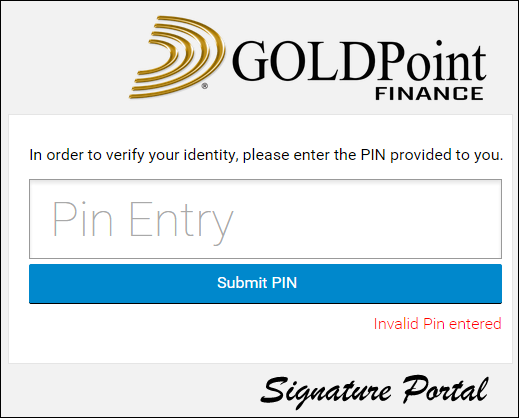 If your institution currently does not use e-signatures but would like to start offering this feature, please contact GOLDPoint Systems. 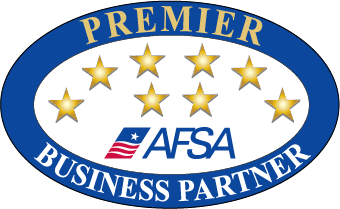 We can add it to any loan program, through GOLDTrak PC or eGOLDTrak. 3. The customer clicks the URL link where they can enter their PIN, as shown below. This PIN expires after a set time designated by your institution. 5. The customer will then click a <Submit Documents> button, and the system will attach the signed documents to the loan file in File Services Plus. The system sends the user a message letting them know the documents were successfully submitted (see below). 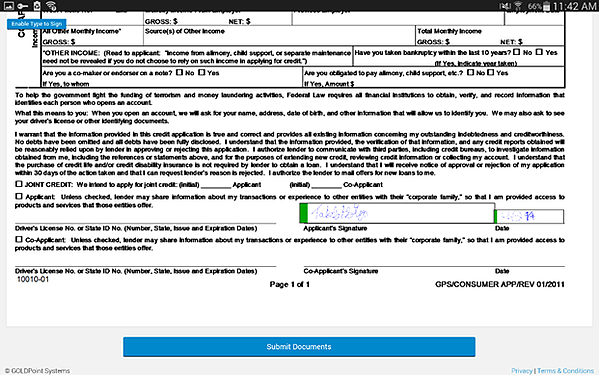 If the loan is paid off, the words “PAID OFF” are included as an overlay on the documents. 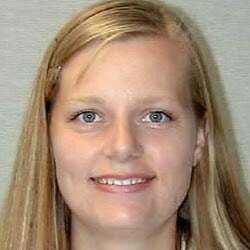 If a reinstatement is run, the system adds “CLOSED BY REINSTATEMENT” as an overlay on the documents. Also see the eGOLDSign tutorial in GOLDPoint University.